Itai??i? ?s that time of the year again whenAi? ?from online forums to the tables of that beloved sports bar in neighborhood, everywhere the topic is the same. Who is going where? Shall he be sold or the club should just loan him off? Is it the right time to go for an expensive acquisition?Ai? ?These are some of the constant terms one wouldAi? ?see flying around the beer tables.Ai?? No, the talks are not about the share market, although the significance of these discussions are as important for the concerned people, as buying or selling of stocks is for an investor. While the later invests his life savings the former puts not just his time but also his emotions into the ai?? 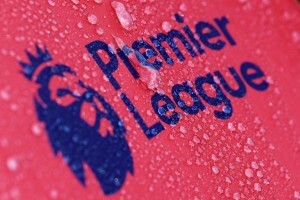 ?football transfer marketai???. From blaming the management of their beloved clubs to worshiping them like demigods, a football fan goes through truckloads of emotions in the transfer season; for this is the time period when his clubai??i? ?s foundation for the next season will be laid. Arrival of a world class player can make them forget the disappointments of the past season, whereas the departure of the same can send chills through the spine of even the defending champions. While European transfers steal the limelight and make the cover stories of the leading dailies, this time around the Indian football transfer market has also managed to attract its fair share of attention. Ranging from the departure of our national players to Europe to the arrival of several international names to our domestic league; the Indian transfer window has had its fair share to talk about as well. In this article, we take a look at the international players who have joined the I-League this season, thereby adding a dash of flavor to the Indian curry. Along with that we will take a quick glance at the foreigners who have made a move within the I-League for the upcoming season. We start off with the twenty five year old Cameroonean striker, better known as Bong Bertrand who became the latest international entrant in the I-league as he signed up for Sporting Clube de Goa earlier in the week. He arrives in the I-League from Al-Shamal -Ai? ?a Qatari second division club and earlier used to ply his trade in Oman and Egypt. He is expected to add some much required physical presence to the squad of the Flaming Oranje who finished in the bottom half of the league last season. Itai??i? ?s outrageous to compare him with legends like Roger Milla and Samuel Eto, but Bong will certainly prove to be a handful for the Indian defenders in the I-League, especially with his precise headers. He becomes the third African player in the present Sportingai??i? ?s squad along with skipper Kalu Ogba (Nigerian) and defender Keita (Guinean). The Goan outfit Churchill Brothers signed not one, but two Lebanese internationals -Ai? ?a striker and a defender – in the space of a fortnight. The 2011-12 I-Leagueai??i? ?s second runner-ups started off by strengthening their defense when they signed the 6’2″ tall center back Bilal Shiekh from top Lebanese Premier League outfit Nejmah SC. The veteran defender, who has played for Lebanonai??i? ?s national side for almost eight years now, will bring a lot of experience to Churchillai??i? ?s backline. Besides his defensive skills, he is also known for scoring crucialAi? ?goals through quick counter attacks andAi??corners. A very good signing indeed by the Goans, who would be aiming to go all the way to the covetedAi? ?I-League crownAi? ?in the upcoming season. Striker Akram Moghrabi was never the first choice for the Goan outfit. Reports coming in earlier this month suggested that they were aiming to sign the twenty two year old Ghanaian Bismakh Idan, who played for Turkish second division side GAi? ?ztepe SC. It was only after their talks with the Ghanaian fell that the Lebanese international surfaced on their radar. If reports coming in from Panaji are to be believed, then it was Churchillai??i? ?s latest recruit, defender Bilal Shiekh, who seemed to have recommended his teammate from Nejmeh to their techinal direct Subhas Bhowmick. Akram has played for his national side since 2009 has scored six international goals. He can also play as a attacking midfielder behind the strikers, if the need arises and is a known for his clinical finishing. An awful lot has already been written about this signing. Prayag United set the heads rolling when they managed to sign Costa Rica international Hernandez, who featured in 2006 World Cup, from Melbourne Victory for a period of ten months. 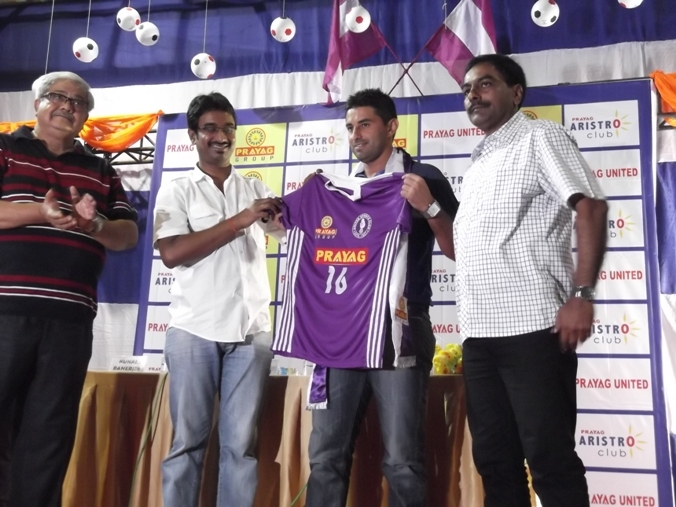 Prayag United have made their intentions for the next season quite clear with the signing of Hernandez and I-League top scorer Ranti Martins in the same transfer window. In Carlos Hernandez, theAi? ?Kolkata side has made arguably the most high profile international signing in the history of I-League and by spending more than two crores to get Ranti Martins from Dempo, they have made the most expensive I-League signing ever. Prayag United have sounded the war bugle already, are the other clubs listening? Kindly let me know more about the Dodsal FC which has recently forayed into I League second division. How do u find the prospects of the players in this new upcoming Dodsl Football club. Also kindly let me know when the U-19 football matches will start. A) Quinton Jacobs and James Moga are already in the list. B) Henry Antchouet is still with Churchill Brothers has not moved this summer. Spending almost 3 Cr on two players is crazy. Instead, if prayag really wants to earn a name for itself and fan following, then it should Invest the same amount on a academy or a program for the Bengali kids and youngsters. Spending blindly on these foreigners who will do no good to Indian football is a waste. I can forsee a disaster for Prayag in their frontlines, similiar to Odafe saga at MB.